From 28 December 2016 to 1 January 2017 there will be the 39th European meeting. We will meet at the other end of Europe. These days we are in the south, then we shall go north. These days we are on the shores of the Mediterranean, next year we will go to the shores of the Baltic, in a country where there has never yet been a European meeting, to Latvia, to the city of Riga. Taizé welcomed us in the 90s when we could finally travel, but we did not have the means. And now we are very happy to welcome you in our turn. My first reaction when hearing the next European meeting will take place in Riga was a big smile. I have only been to Taize once, and having Taize come to Riga like this is a very marvelous gift, I am very grateful. I have always enjoyed the contemplative nature of Taize prayers, the feeling when people come together to pray in song and also in silence is very soothing. I hope this meeting will bring peace and light to everyone attending. See you all in Riga! I am hoping that through the many things we will do for the preparation of the meeting, through the new people we will meet and welcome we can consciously - or maybe even without realizing - open ourselves up more and let God be more present into our everyday life, in our everyday environment. And of course I hope that during the Meeting the young people who will participate, whatever the divisions between their countries or confessions are, can truly meet each other. For the first time, the European meeting will be prepared in a city where many of the local Christians are Orthodox believers. Despite the crises that Europe is experiencing, the European meeting in Riga hopes to be a sign of hope in adversity. The presence of many young people from East and West, and also from other continents, will be a strong incentive for all who are seeking to build an open and inclusive Europe, and also for all those who wish to recover the enthusiasm of a young Europe. Dear brother Alois, brothers, sisters, friends! For Latvian Christians it is a thrill of a miracle and a great joy to witness this moment when our beloved city of Riga is announced to be the host of the next European Taizé youth meeting! 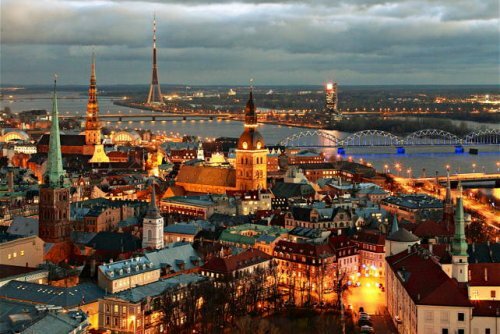 In 2014 Riga was made the European Capital of Culture and it filled us with pride. 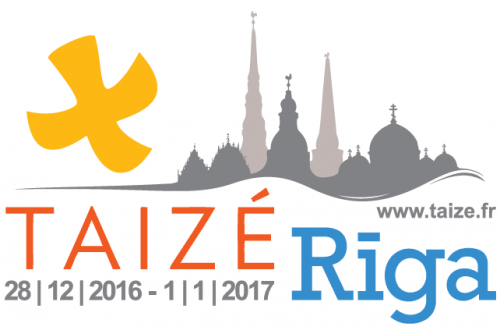 In 2016 Riga is chosen to become the European capital of Taizé and it fills us with humbleness and joyful anticipation. My brother and friend archbishop Zbignevs and I on behalf of our Roman Catholic and Lutheran churches are honoured to invite you and your friends to Latvia! We invite you also in the name of the Orthodox and Baptist communities. 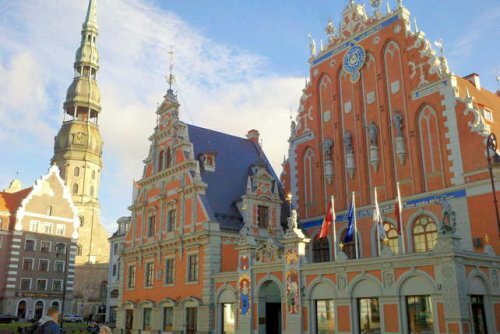 Riga will welcome you with rich historical heritage, with beautiful churches, with very warm ecumenical relationships. If you are lucky, there is a good chance of a real winter too. We definitely will welcome you with friendship and hospitality. We expect you to bring us enrichment from your traditions and experience. Your thirst for God, your openness to the pilgrimage of trust will be a much needed inspiration for many people in Latvia. They desire to share with you your common love to Lord Jesus. 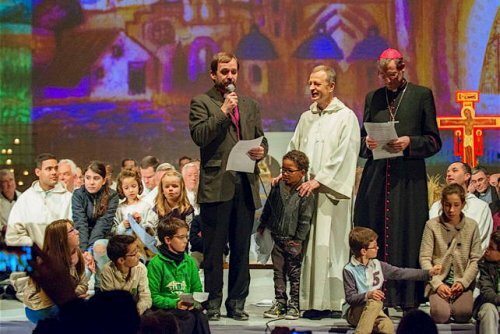 Taizé offers the most beautiful way how to do that for greater glory of God. 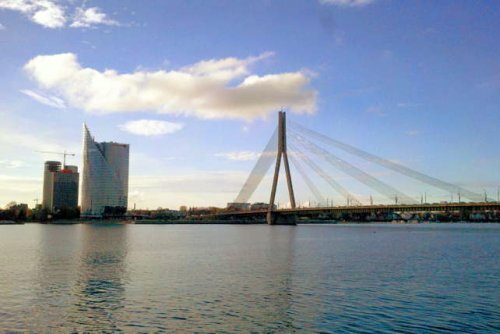 Therefore I am glad to say - see you next year in Riga!